Labels can be custom printed to your exact graphic specifications. Labels can be used to carry important package information. 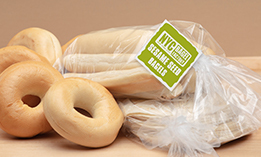 You can also use the attractive labels for promotional campaigns that can increase sales and add additional profits. Kwik Lok offers one-stop closure system solutions. Our expert engineers will help you find the right closure system solution for your product lines. We will work with you team to consider bag types, size, product weight, line speed and printing needs. 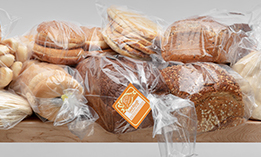 The best way to ensure no metal exists in your finished product is to use a metal-free Kwik Lok® closure or closure-label to complete your packing process. 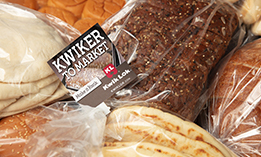 Kwik Lok's closures permit the use of metal detection devices on the end of your packaging line. Minimize customer returns and quickly identify equipment by choosing Kwik Lok. If you have a bag, we have a closure. 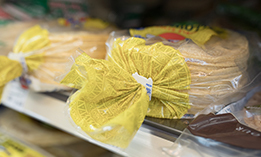 Over the years we have worked with a number of bakeries to help them find the perfect closure system solution. We work with our customers to identify solutions to fit their unique needs. Give your product a look that is sure to stand out from the competition. When the customers looks at all their options, your package will be the first to jump out for their attention. 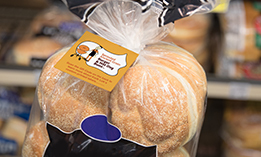 A package label can be the least expensive and most productive of all advertising media. An attractive, well designed label stands out and can frequently sway those last minute purchasing decisions, increasing your sales. 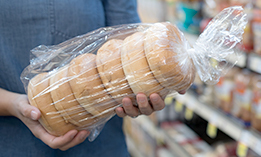 A package’s label is seen by the consumer at the very moment buying decisions are made and at the point of sale where the consumer can buy the product. 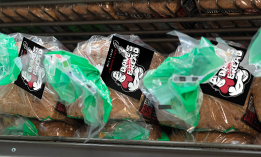 Need help with your bakery solution?